Jones Beach NY is part of the barrier island chain off the southern coast of Long Island. With its beautiful beaches and numerous attractions, Jones Beach is one of the most popular vacation destinations in Long Island, NY. The beautiful South Oyster Bay separates Jones Beach from Long Island and provides a great place for fishing and still-water bathing. 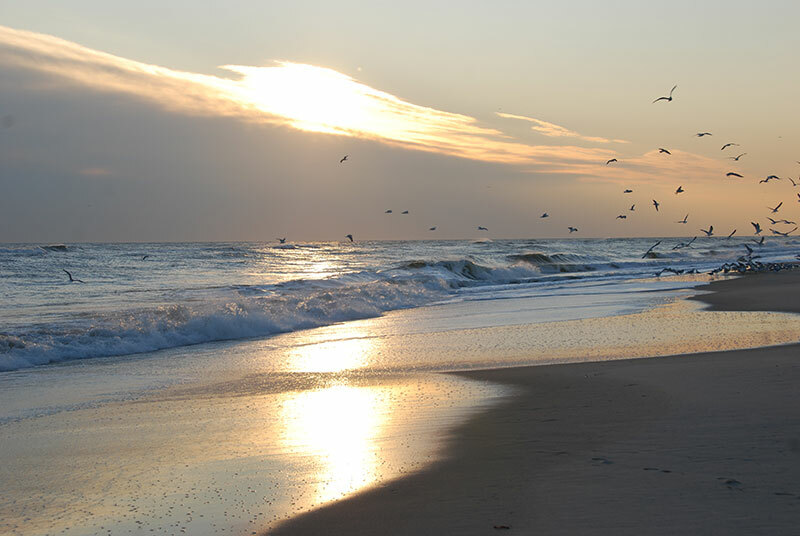 On the southern side, Jones beach is open to the great Atlantic Ocean, which offers spectacular surf bathing and fishing. The island is perhaps most renowned for its state park, featuring an array of attractions, beaches and entertainment. The Jones Beach State Park encompasses over 2400 acres of the island and offers visitors 6.5 miles of open beachfront along the mighty Atlantic Ocean and 0.5 miles of beachfront bordering the South Oyster Bay. These beaches not only provide beautiful views and swimming opportunities, but they're also ideal for fishing, boating and water sports. The park also has two bathhouses, featuring swimming and diving pools, and its west end is a haven for migrant birds and other natural wildlife. Jones Beach State Park also offers an array of activities aside from the water, including basketball, volleyball, softball, handball, tennis, shuffleboard, golf, shopping, dancing and more. Visitors are welcome to bring food for a barbecue or picnic, or they can purchase from the various refreshment stands and snack bars speckled along the park's 2-mile boardwalk. A museum, ice cream parlor, various playgrounds, displays and educational tours are also great for small children. The Jones Beach Park features a popular outdoor amphitheater. Constructed in the early 1990's, the Jones Beach Theater seats over 11,000 people and is located right on the beautiful Atlantic Coast. The theater hosts world-famous music artists and entertainers, including Bob Dylan, Stevie Nicks, the Goo Goo Dolls, Chicago, Gwen Stafani and more. The Jones Beach amphitheater is rated one of the most popular concert stadiums nationwide. Jones Beach, New York is the perfect destination for a fun-filled island retreat or romantic honeymoon.